The New Jim Crow by Michelle Alexander is a reminder to white Americans that racial injustice is alive and well in the United States. Martin Luther King Jr Day should not simply be a day when Americans remember and celebrate the life of a civil rights activist – as if the Civil Rights Act fixed everything. It should also be a time when we reflect on how far we have yet to go. Martin Luther King’s dream has not yet been realized. The Civil Rights Act of 1964 outlawed discrimination based on race, but racism still exists in America. But most of it is more subtle and more structural. Certainly, there are Americans who still hate blacks (ex. the Charleston massacre), but most would like to think that they are colorblind. Michelle Alexander argues convincingly in her book that our criminal justice system is not colorblind. The War on Drugs has perpetuated racial discrimination in this country, but non-black Americans have no problem with a prison system almost entirely made up of blacks. Whites do drugs at the same rate or at a higher rate as blacks, but police do not patrol their neighborhoods. Whites are not stopped and frisked for drugs, so whites are not found with drugs. Black men are shot down by the police who have been trained to associate blacks with violence. Unfortunately, because the Supreme Court assumes that our country is colorblind, claims of racism are dismissed. Our unjust structures are not considered unjust by our courts, so the system continues unchallenged. This is the new Jim Crow because like the old Jim Crow, black men with a prison history lose their voting privileges (often, for life), cannot get employment, are disqualified for food stamps, and may not even be able to get housing. Our country found the perfect way to strip blacks of their rights without overtly discriminating against them. 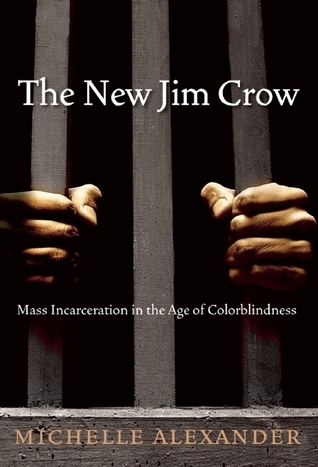 On this MLK Day, consider purchasing or borrowing from the library The New Jim Crow by Michelle Alexander. We are not colorblind. Unfortunately, I don’t have much hope things will get better under Trump.